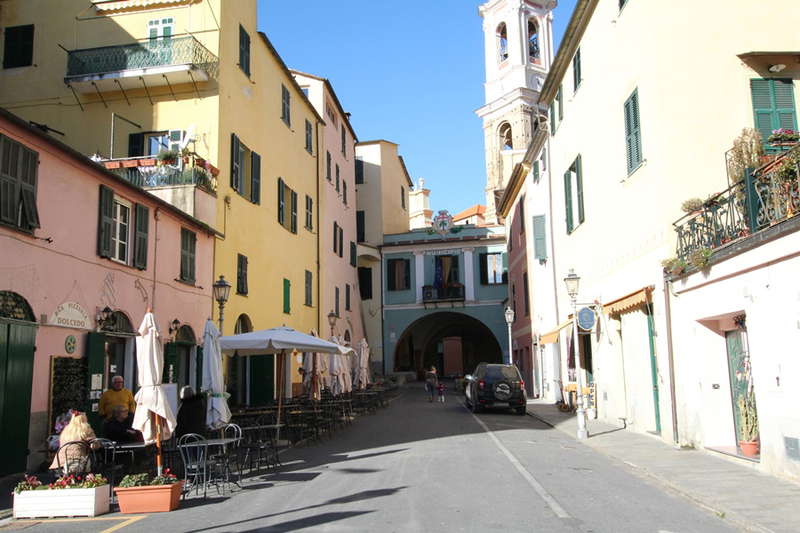 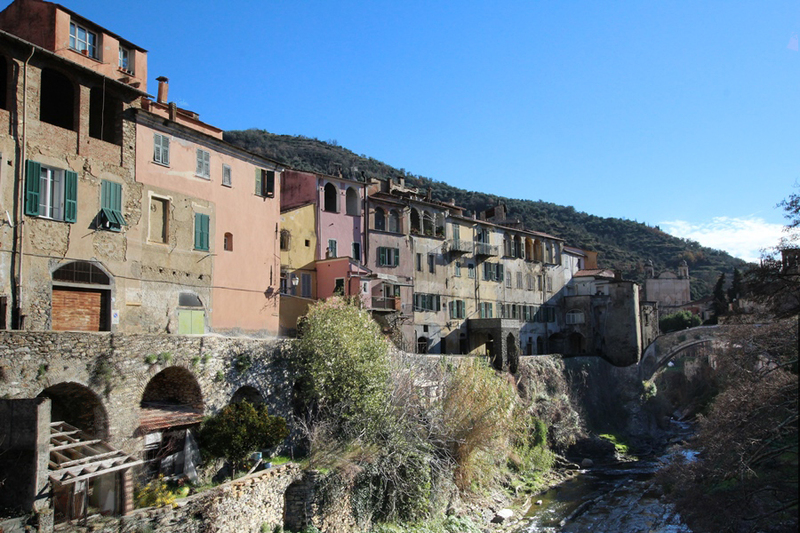 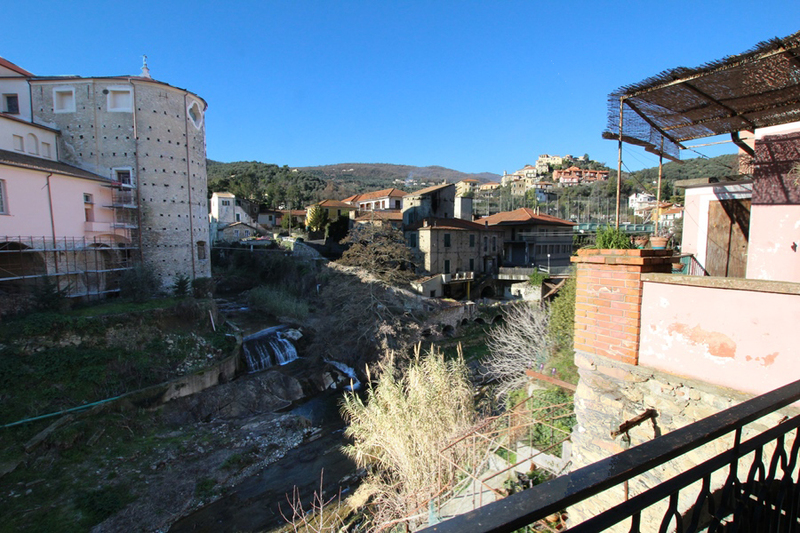 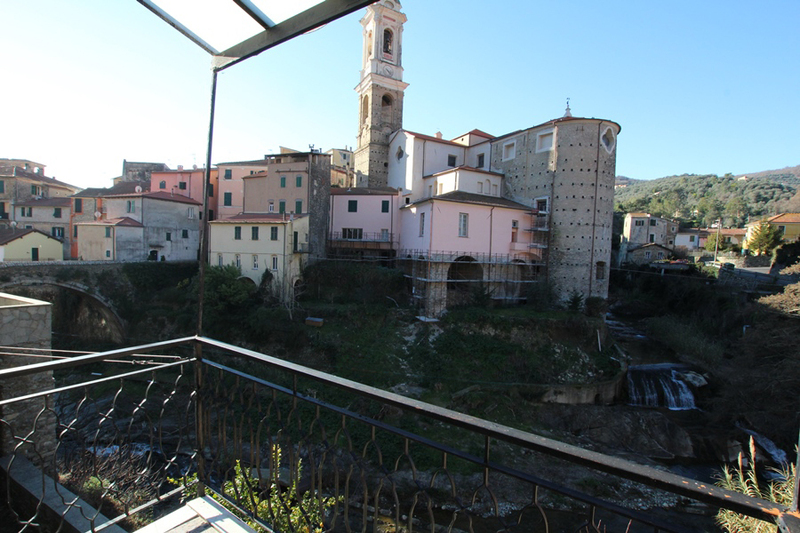 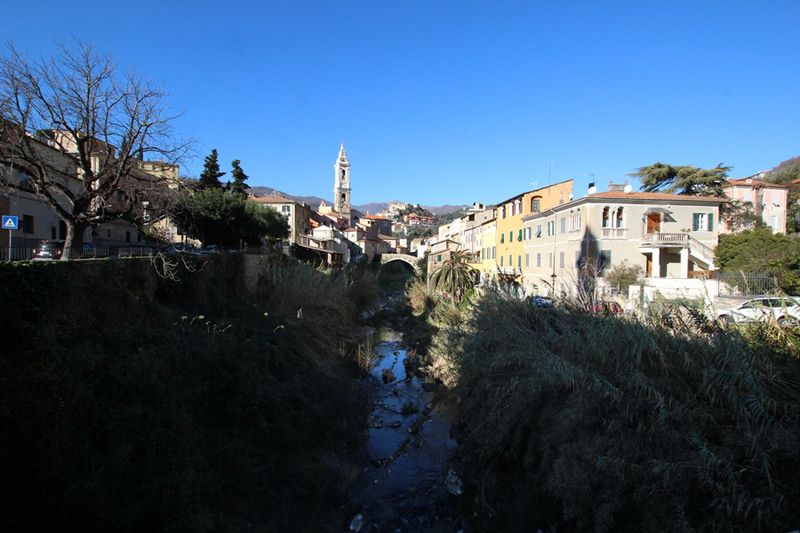 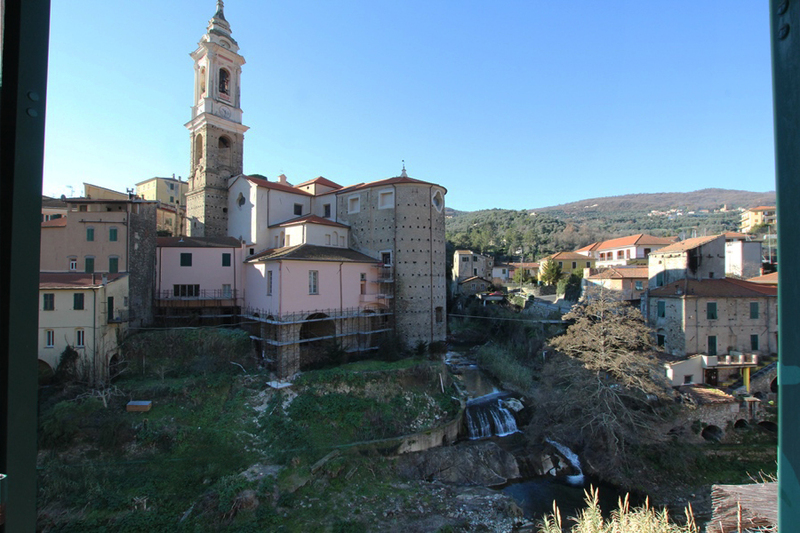 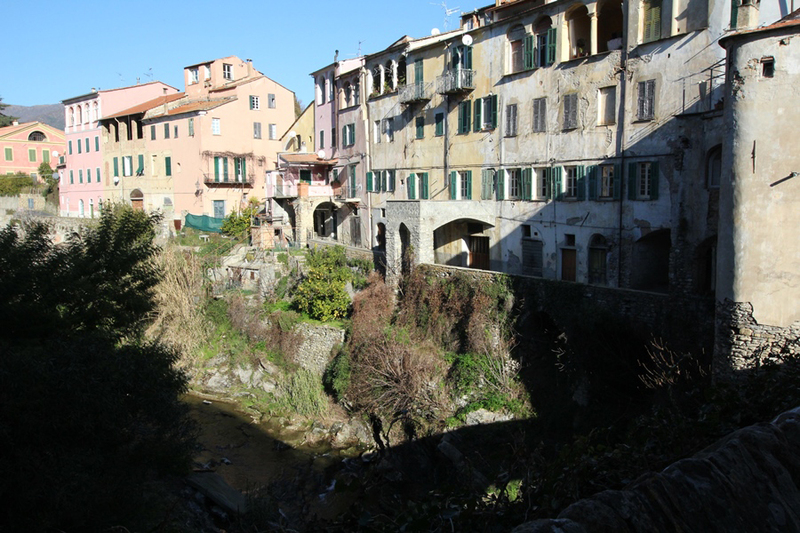 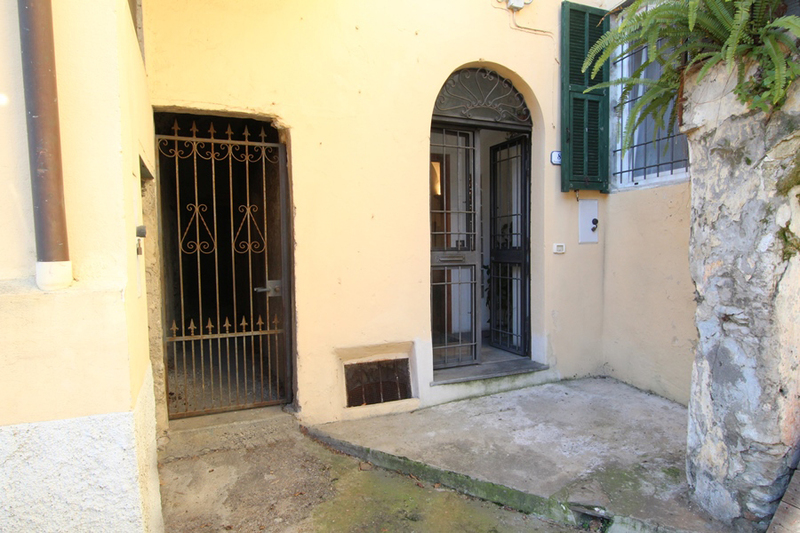 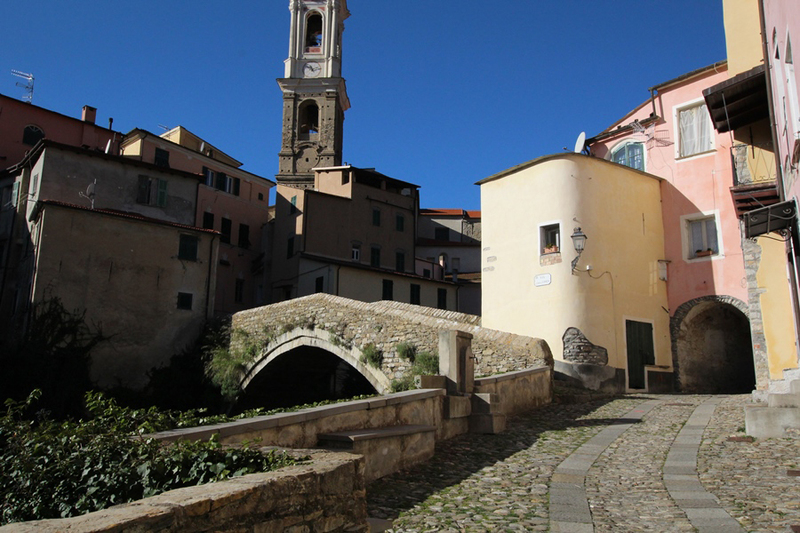 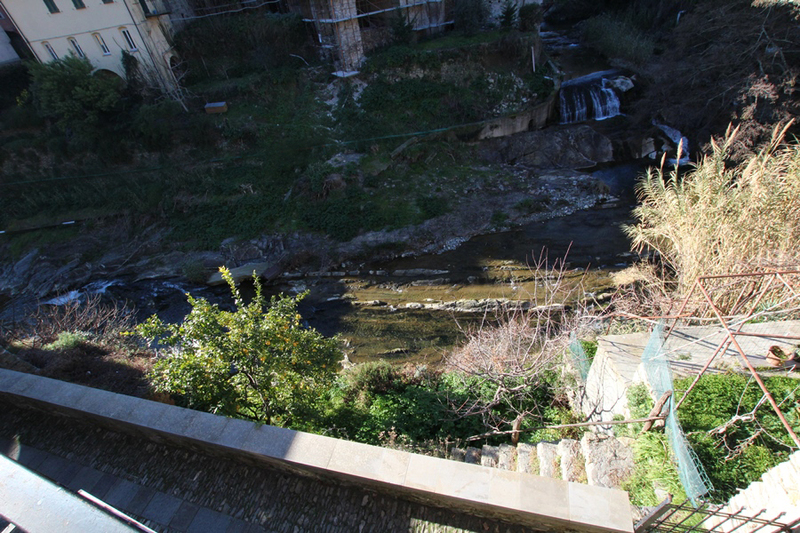 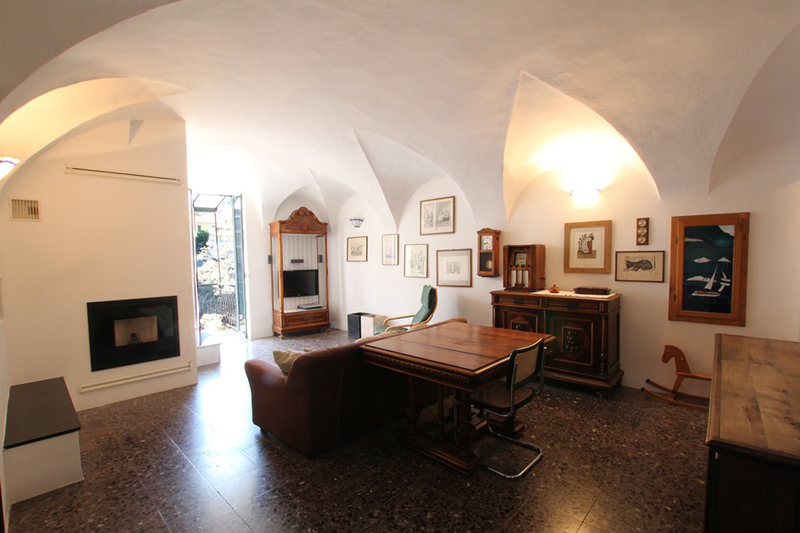 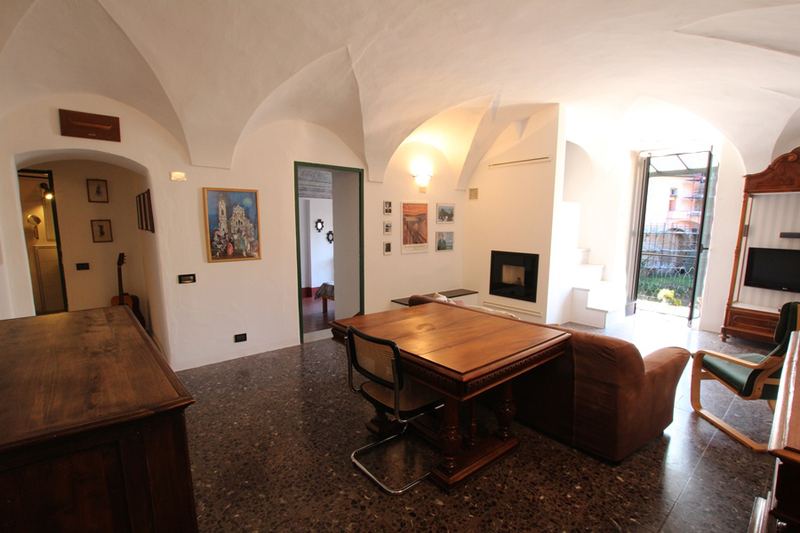 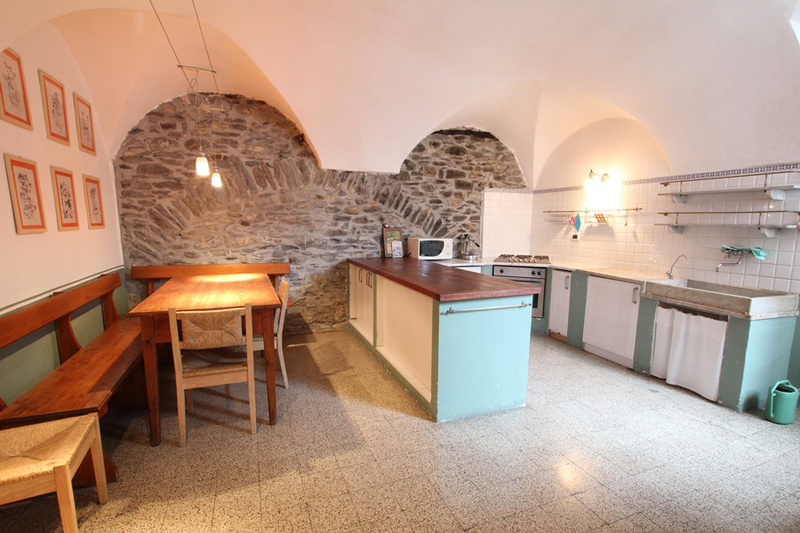 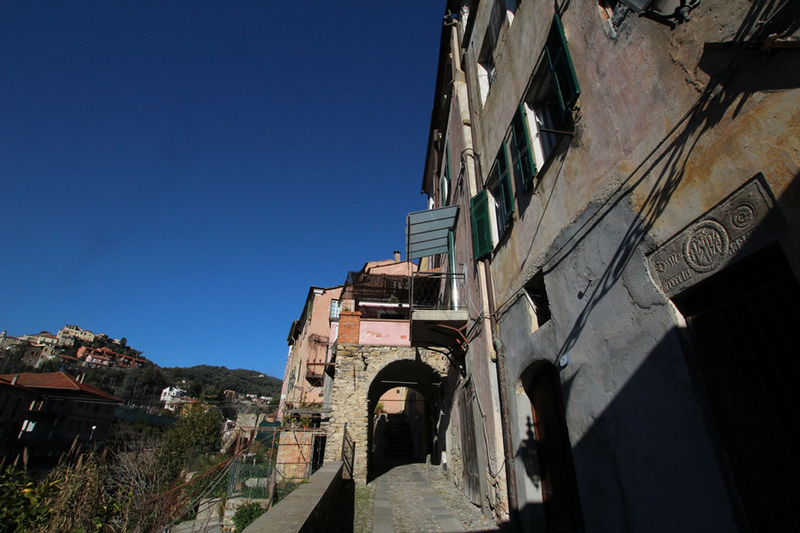 For sale a lovely antique apartment in the heart of the medieval village Dolcedo, on the south side of the creek Prino only a couple of minutes walk from restaurants, bars and groceries. 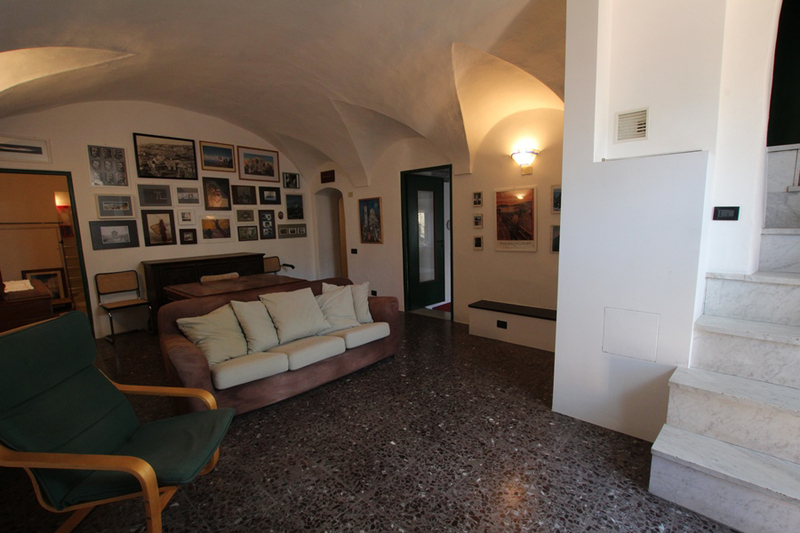 The actual owners restored their home completely in 2006, but it still keeps its old fashion charm! 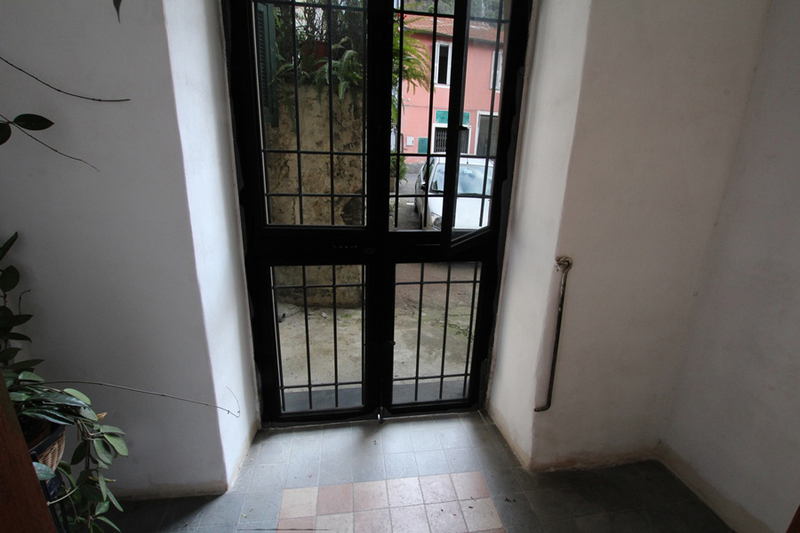 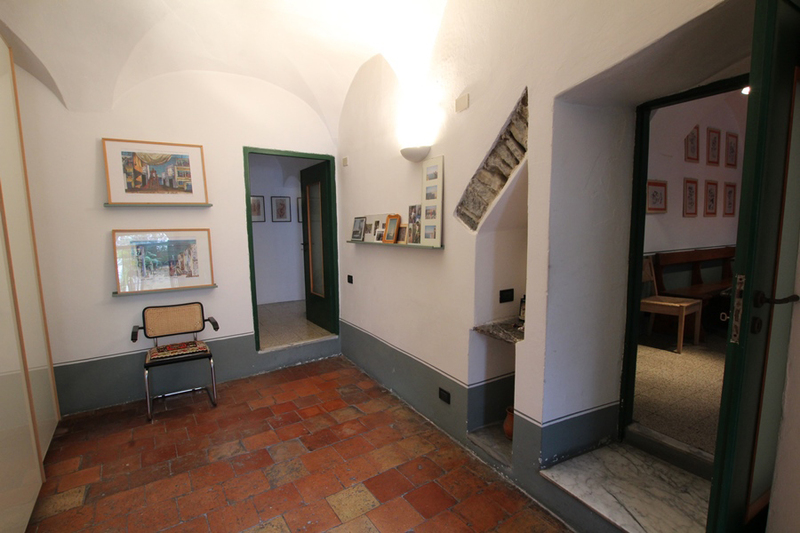 The entrance is next to a square with possibility for parking, passing the vestibule you arrive to a hallway, that ties the spacious kitchen and pantry togehter with the rest of the habitation. 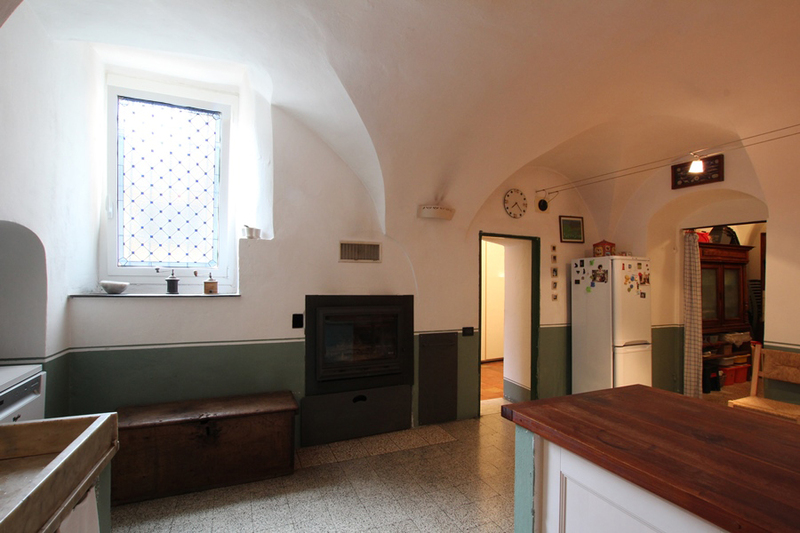 During the winter the kitchen is heated up by a romantic open fireplace. 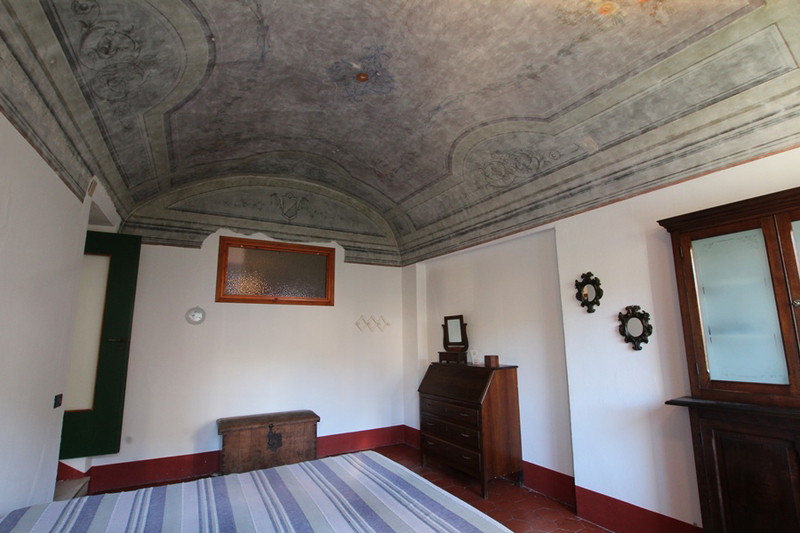 The the ceilings of the living room are all arched and riminds of the glorious past and in winter time it’s heated up by a new pellet stove. 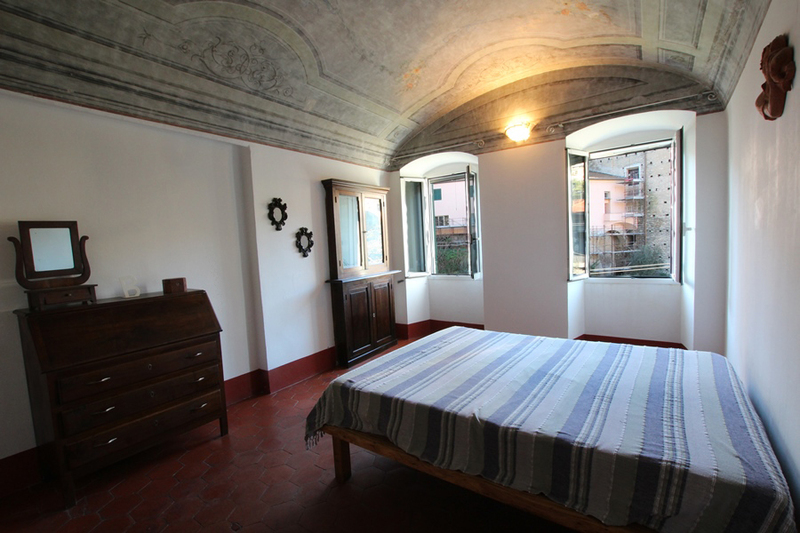 It’s also the heart of the apartment and from there you arrive to two double bedrooms, one has storical frescoes on the ceiling. 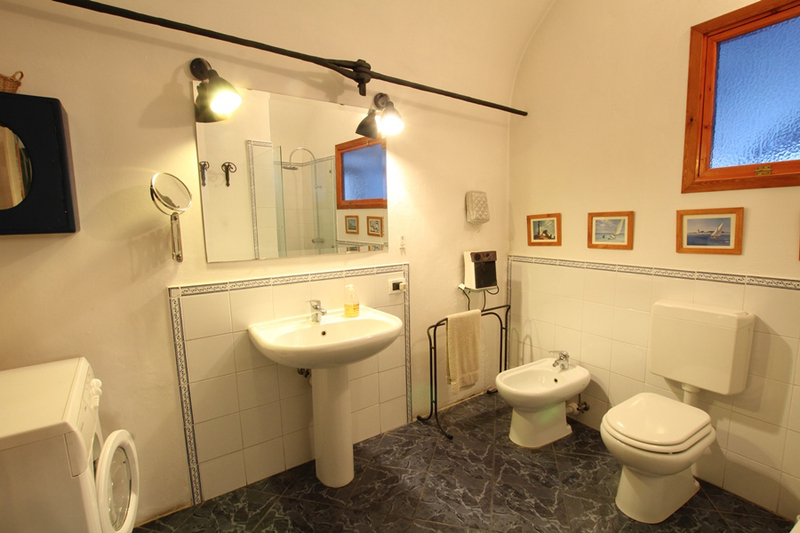 The bathroom is in modern style and has a direct ventilation from outside. 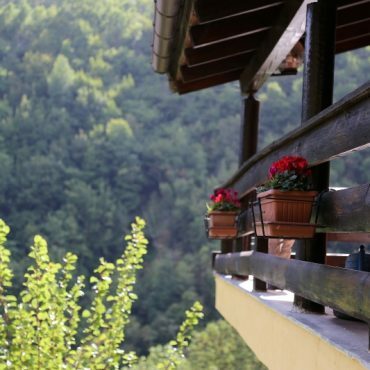 The balcony is covered and has a marvellous view over the creek and the valley. 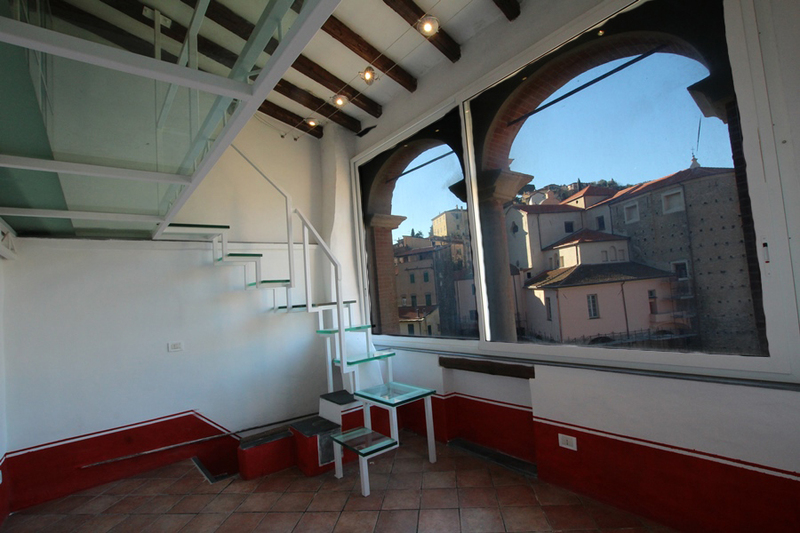 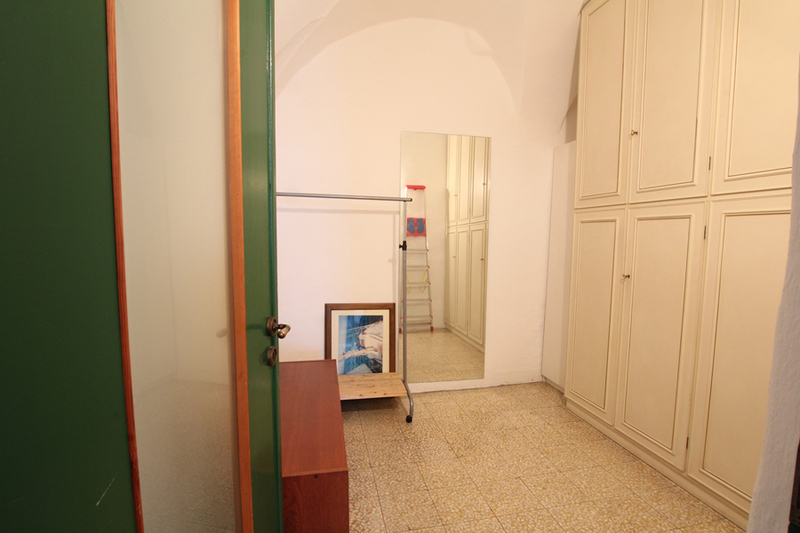 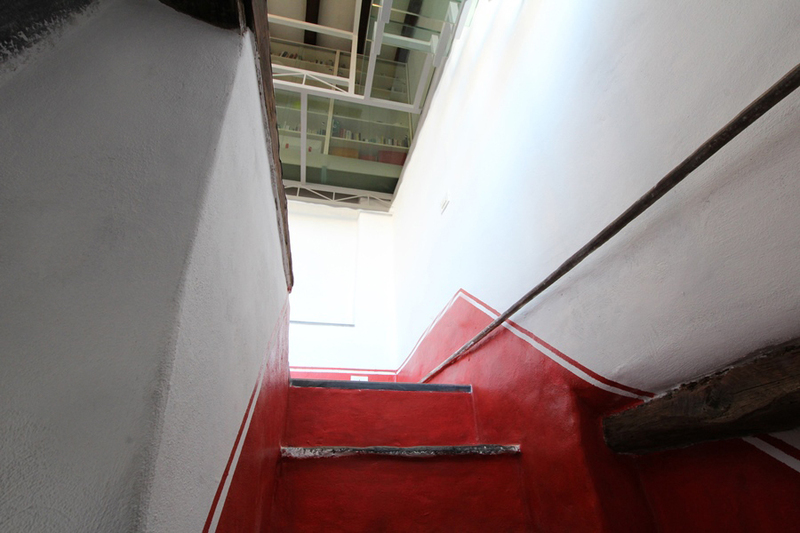 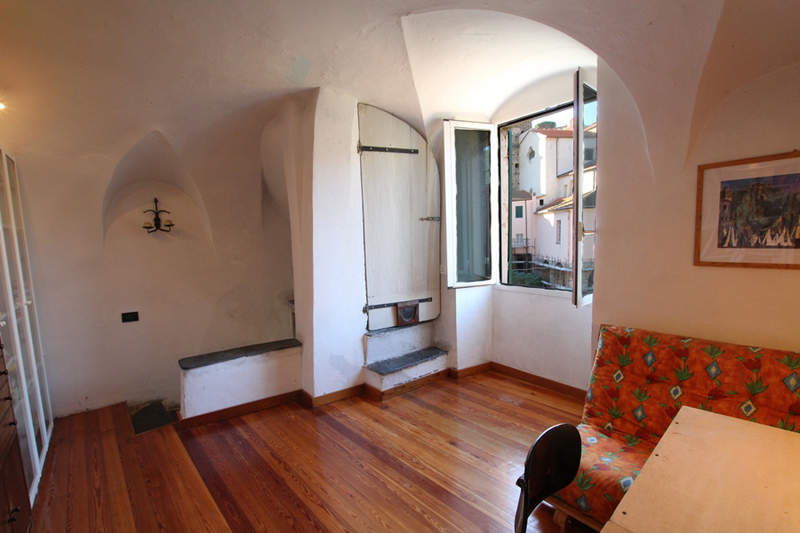 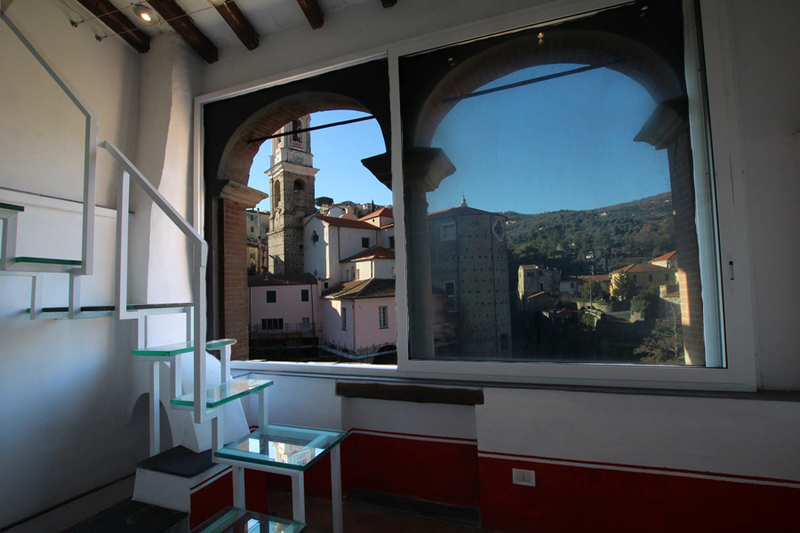 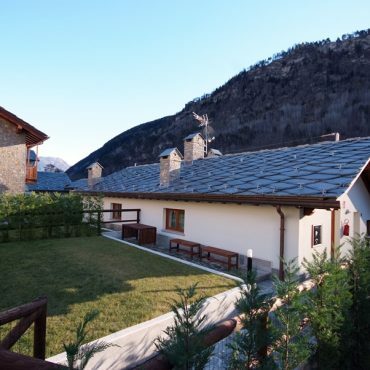 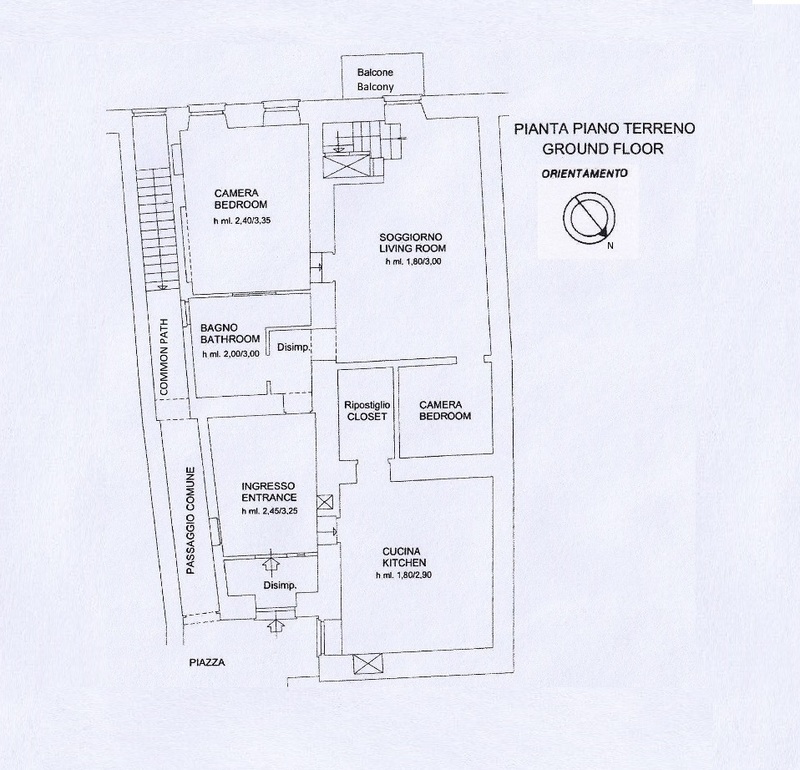 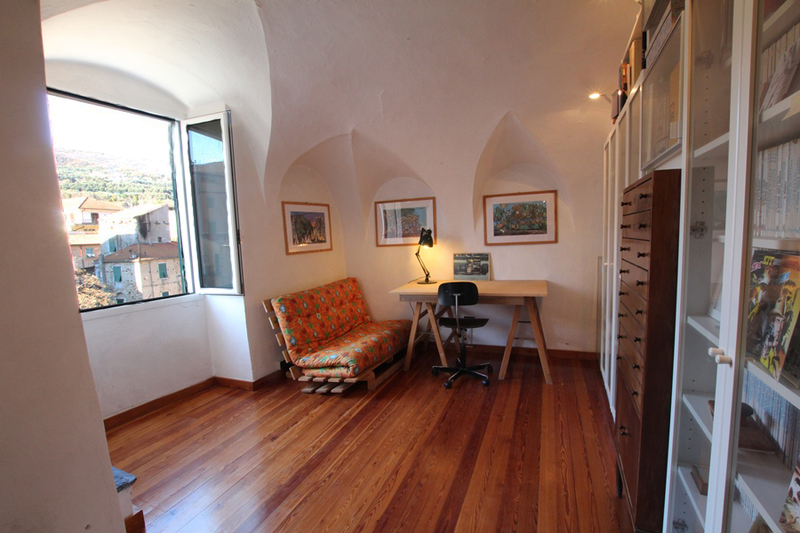 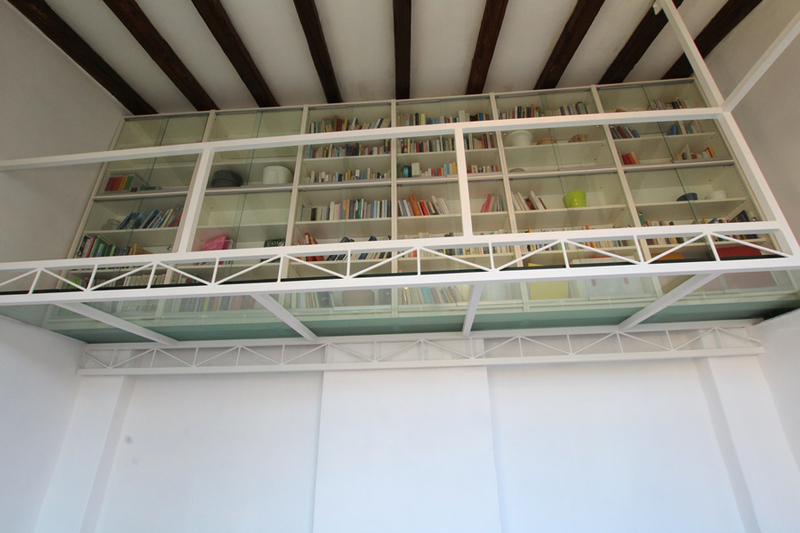 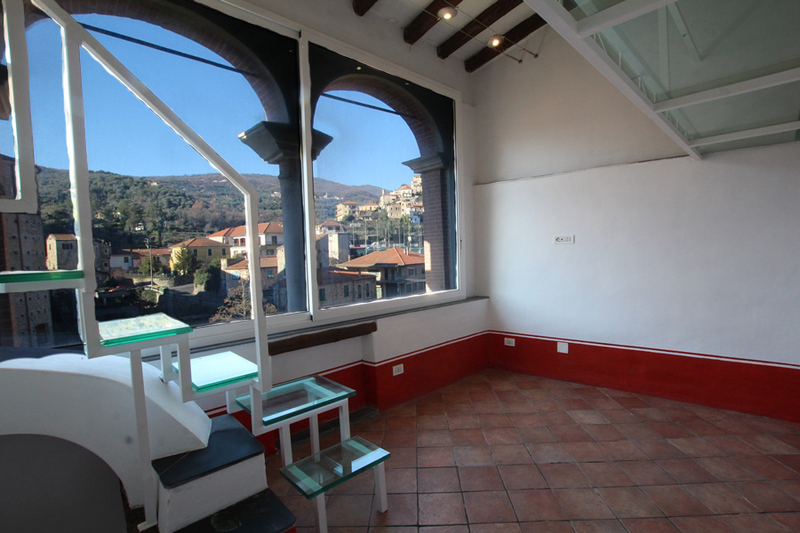 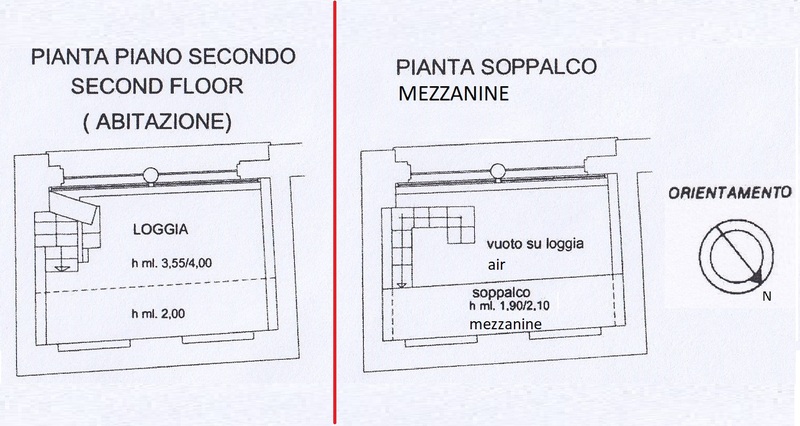 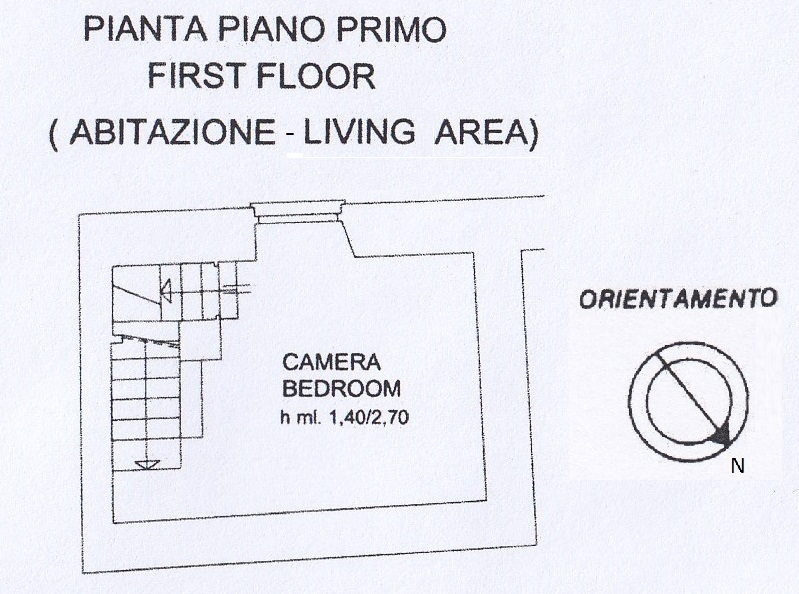 The first floor is composed of a single bedroom and the top floor is an antique winter room with a modern mezzanine. 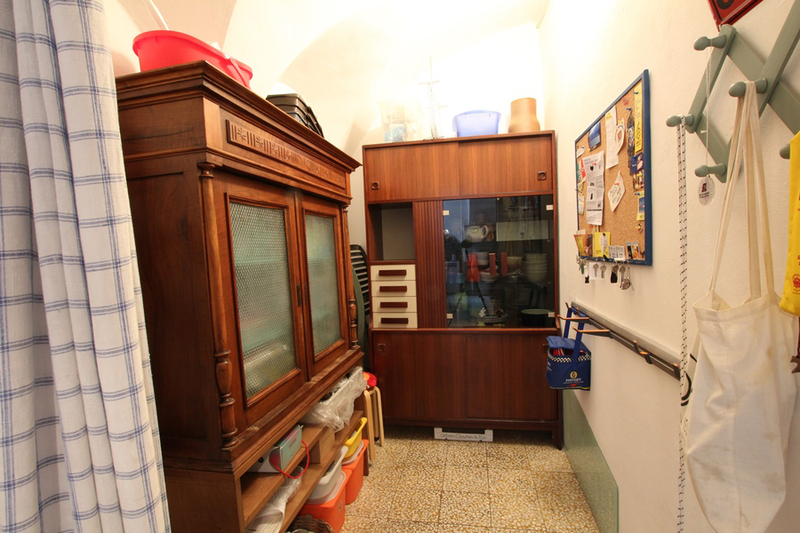 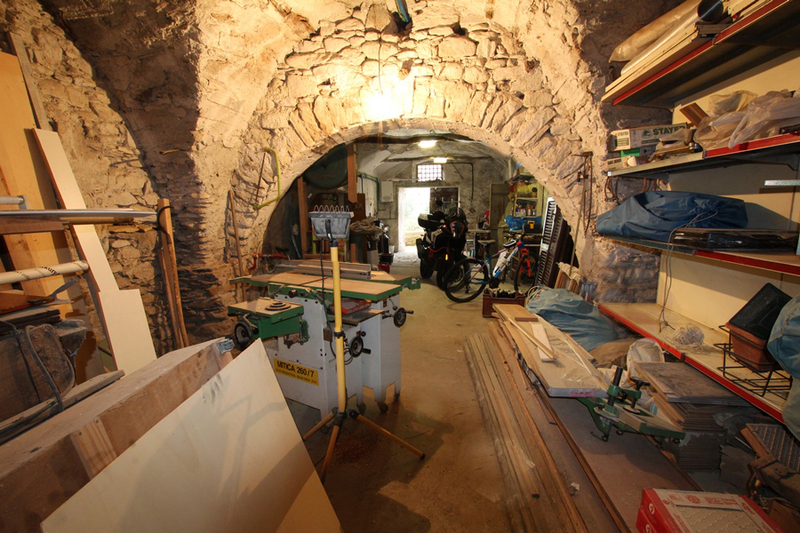 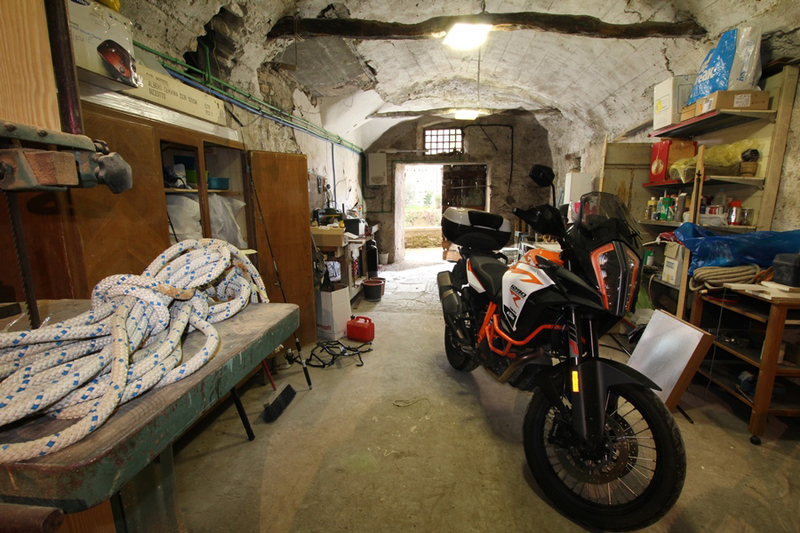 There is a private shortcut, like a tunnel, from the entrance to the double storage; size about 65 sqm. 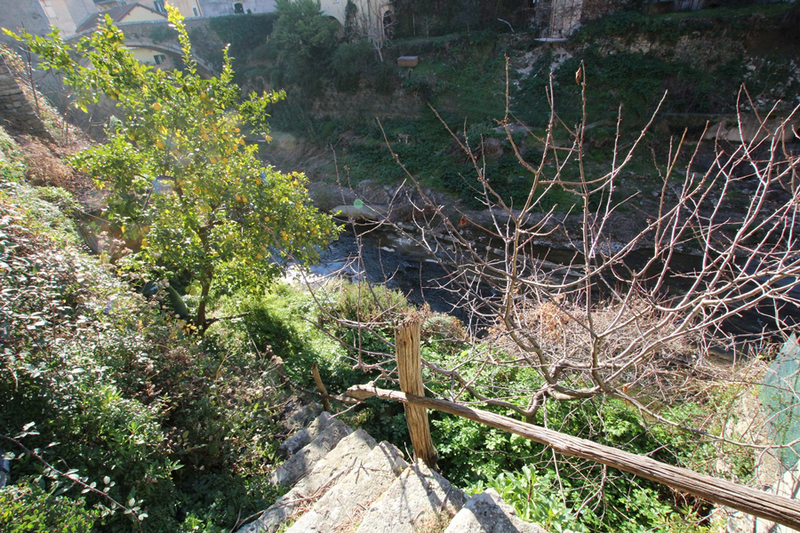 Smaller cars can enter from the river road. 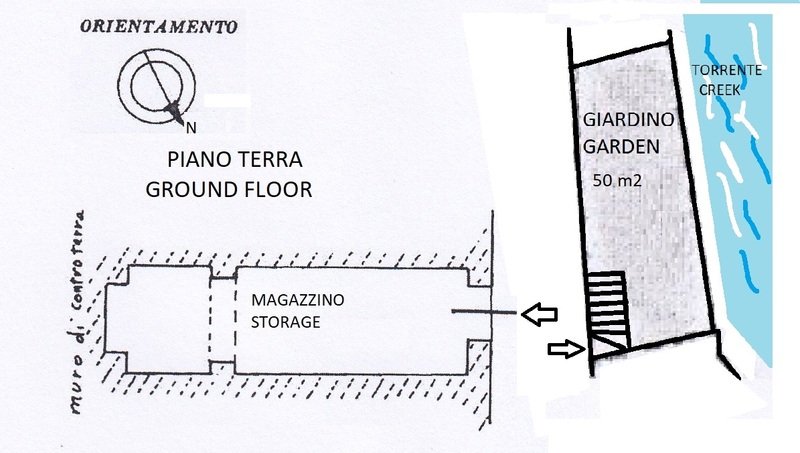 On the opposite side of the way you find the kitchen garden, about 50 sqm, with one lemon- and one cherry-tree. 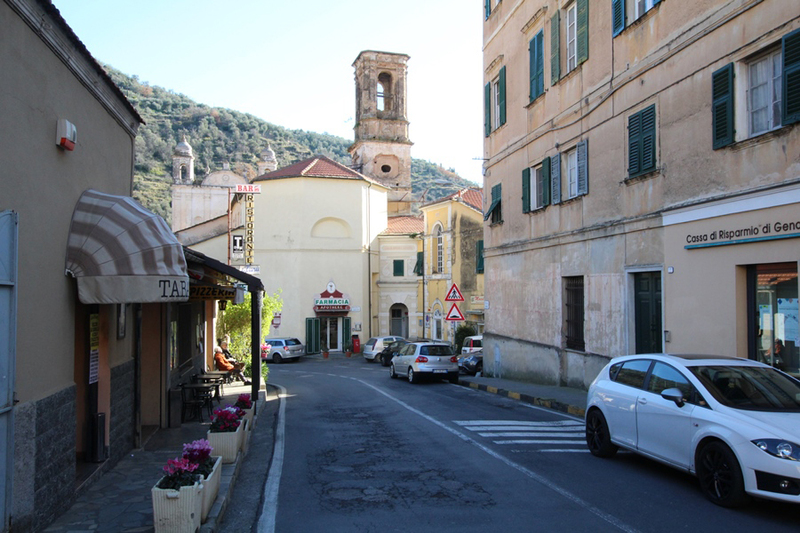 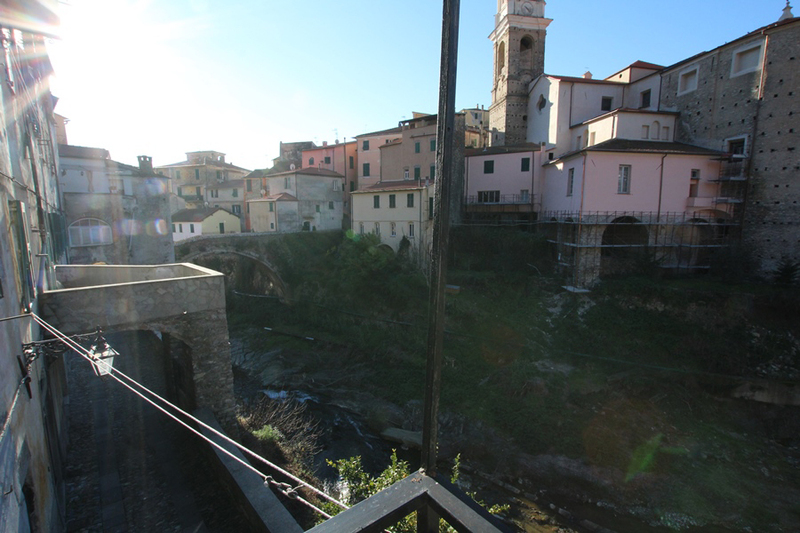 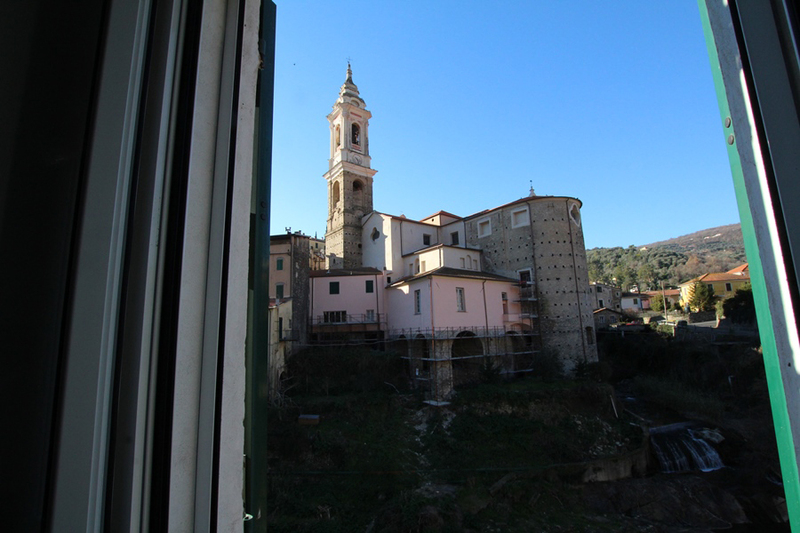 Ten minutes walk from the pool of Dolcedo and 30 minutes of walk from the lagoons of Lecchiore (see the video).